Home is where the heart is, and the heart of the home is the kitchen. 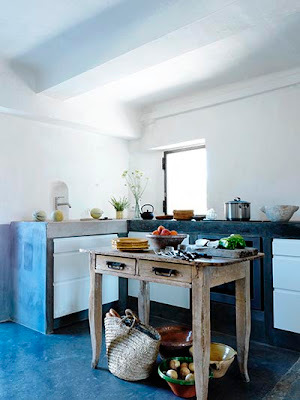 American kitchens are a bit silly sometimes, many are gigantic, many are not parallel with the design of the house, some blend into the rest of the house too well, and others are just plainly neglected. 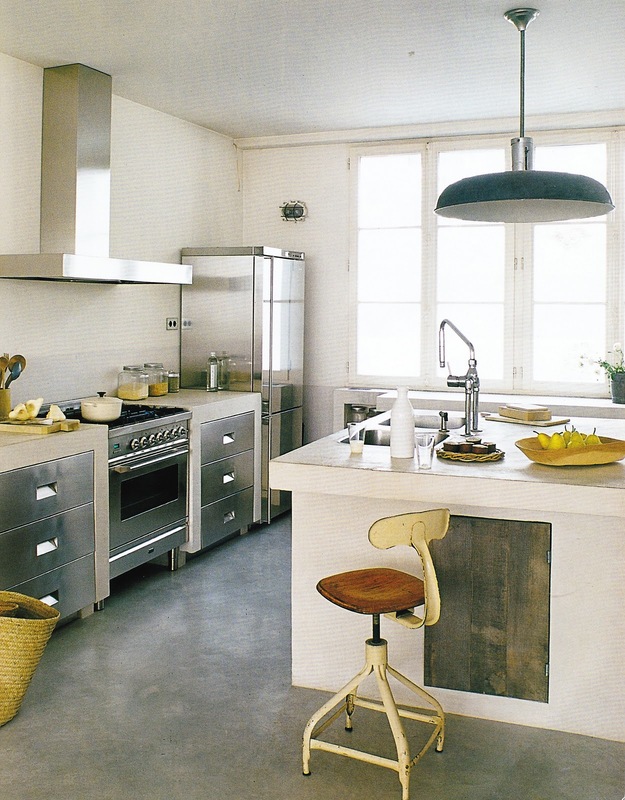 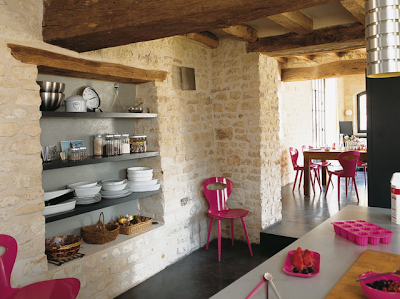 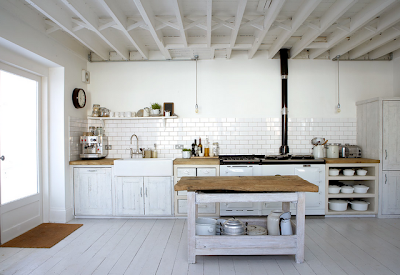 Whenever I see a kitchen in a European home, I ooze with excitement. 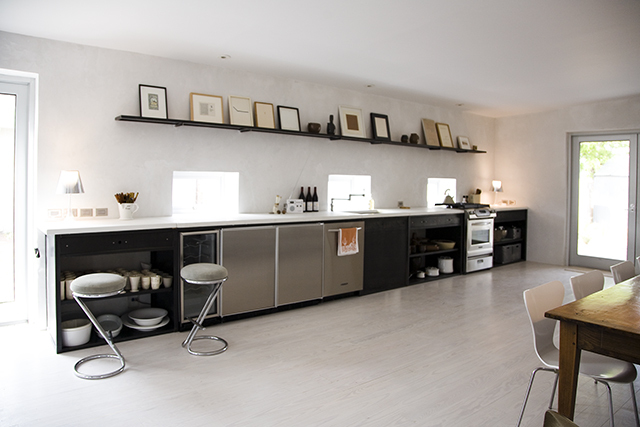 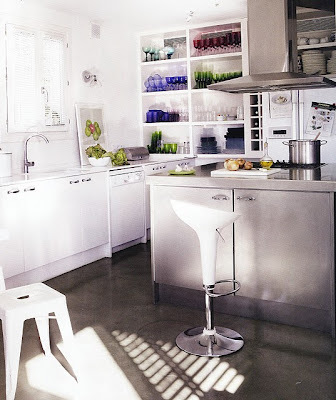 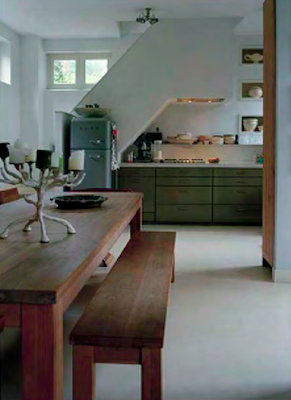 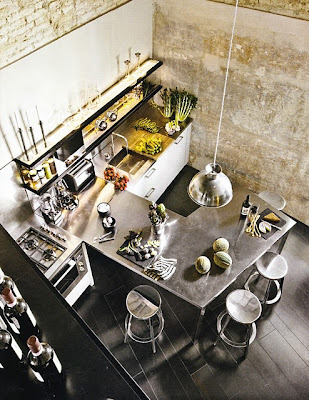 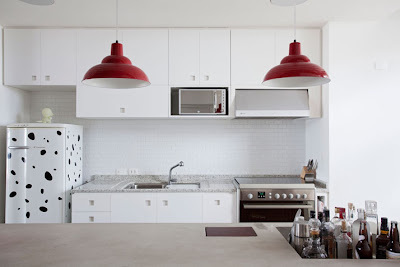 I admire the lack of frills in the cooking space, along with the sleek and sometimes hidden design of the space. 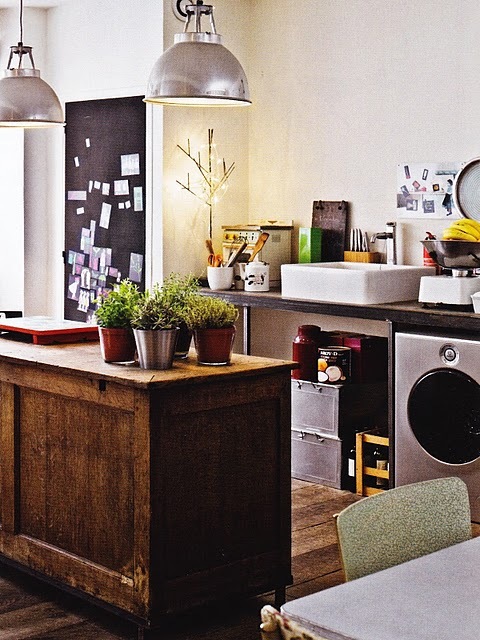 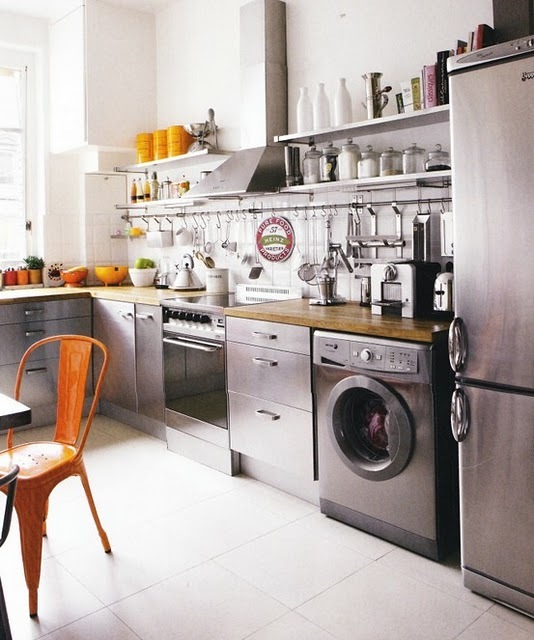 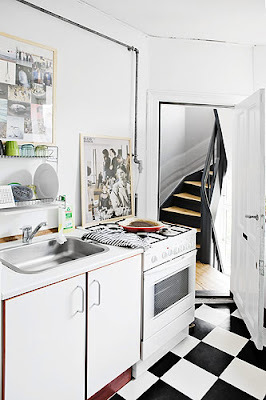 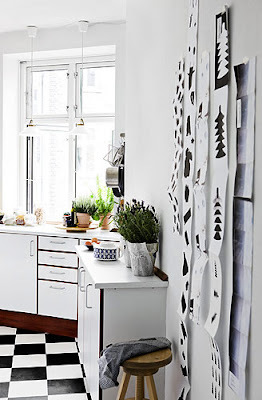 Many of the kitchens double as a laundry space, and I can't say that I love that, but it's practical and Europeans are just working with what they've got. 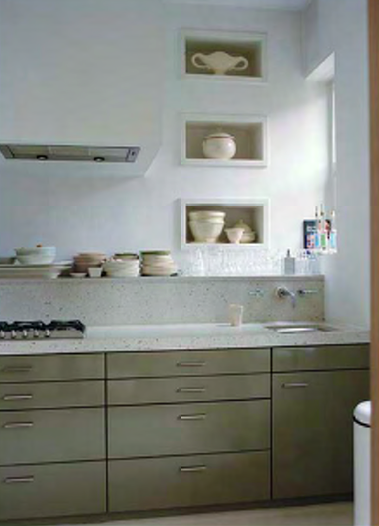 One thing that I absolutely love is the lack of upper cabinets in chic kitchens. 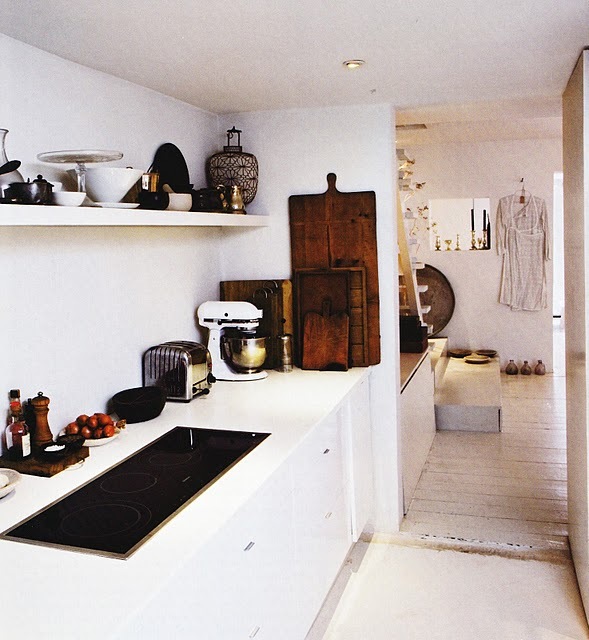 Either open shelves, shelves incorporated into the walls are common, and give practical decoration to the space without even trying. 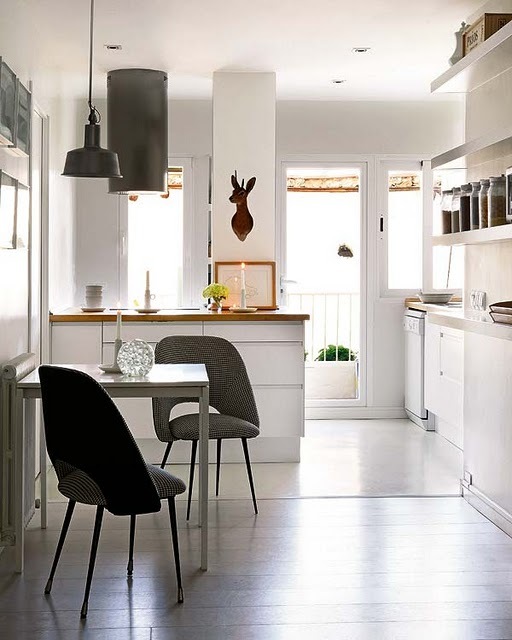 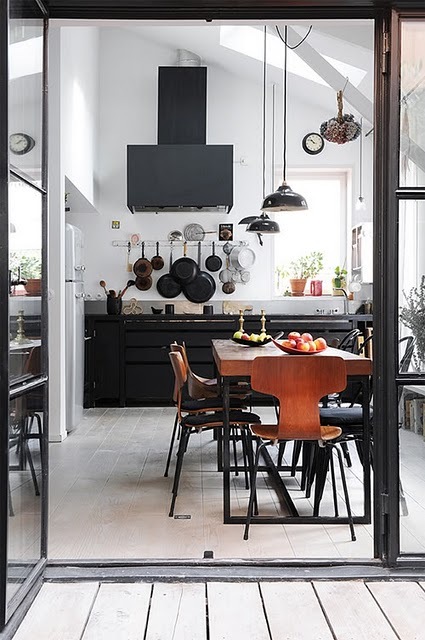 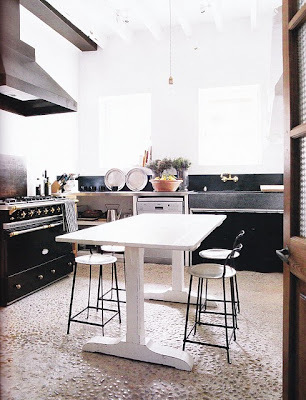 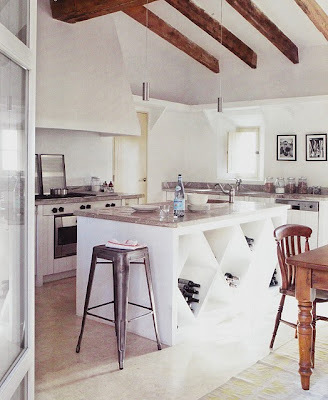 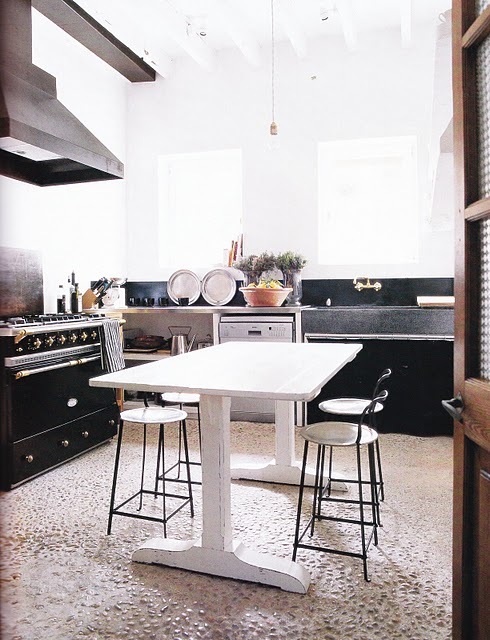 Take a look below at some of my favorite kitchens of Europe, and bask in the simplicity of the design, and thoughtful use of space.